This was going to be my busiest week in 2012. My original plan for this week was to have a series of meetings at the Pratt Institute Monday through Wednesday, then go directly from the Wednesday meeting to LaGuardia Airport so I could arrive in Vancouver in time to present as part of an urban environmental history panel at the Social Science History Association meeting Thursday morning. All this comes on the heels of the Urban History Association meeting here in New York last week. The first sign that my schedule would not go according to plan was when the chair of one of my committees at Pratt emailed Friday afternoon to say that if the weather mandated, we would reschedule our Monday afternoon meeting. Being preoccupied with the UHA, I had not tracked the severity of Hurricane Sandy’s progress until I read that message late Friday night. That email began a series of revisions to my plan as the meetings fell like dominoes. Monday’s class and meetings were canceled Sunday night as the rains started. Tuesday meetings were canceled even before the thick of the storms on Monday night. I knew this because we were fortunate enough to never lose power at home and I was able to receive the campus email alerts. While the internet was down part of the night and debris littered our garden, we were fortunate to ride out the storm and wait for its aftermath. 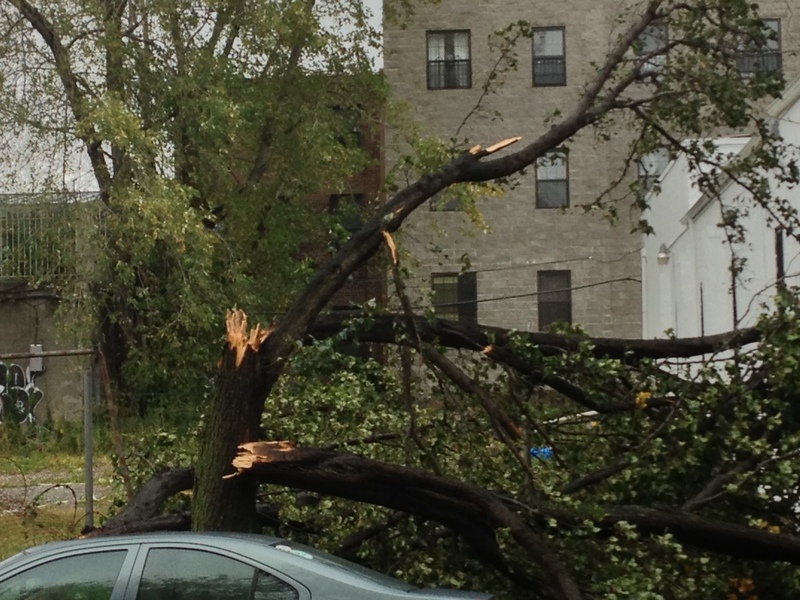 Luckily, the worst damage in our neighborhood involved some downed trees a few blocks north of the apartment. Even then, the trees in this part of Brooklyn are small and the damage was not comparable to the array of crushed automobiles and houses found elsewhere in the city. On Tuesday, the provost announced campus offices would reopen for business the following day, although classes would not resume. By then, I had received notice that my Wednesday evening flight west was canceled. 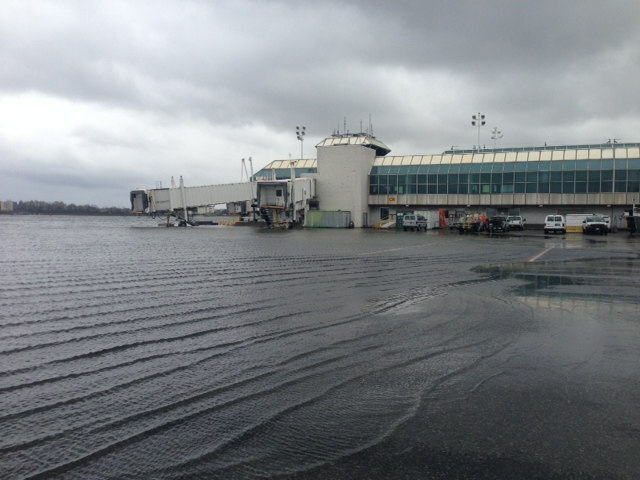 This did not come as a surprise, since a Google Images search for “LaGuardia Airport” limited to the past 24 hours revealed runways underwater. After quickly assessing my options (either build an operational transmat beam to Vancouver or build the world’s largest catapult to fling myself across the continent), I realized I was not going to attend SSHA 2012. This posed a couple of problems. One, I would not be able to participate in my Thursday morning panel. A second problem was I am one of the co-chairs of SSHA’s urban network, and we have a business meeting to plan the year ahead on Friday. So I emailed my fellow co-chair to give advance notice I could not attend. My fellow co-chair lives in the East Village. The East Village has no power and she had not made it out of the city before the hurricane, so she responded on her cell phone that the chances of either of us being in Vancouver are roughly equivalent to the Cubs winning the 2013 World Series. Since I was in the fortunate position of having both electricity and a working internet connection, my next move was to send a flurry of messages to conference personnel alerting them to our impending absence (as well as the absences of other participants who emailed in to say they were marooned in New York). Technology could not get me to Vancouver, but it could provide me the means to coordinate the best available response to the situation. Today was the first day administrative offices opened at the Pratt Institute’s Brooklyn campus, so I walked to the office for the first time since a brief visit before heading down to the UHA last Thursday. While my department was supposed to have a meeting at 12:30, many of my colleagues are stranded in Manhattan and the chair (among the stranded) postponed it via email last night. When I arrived on campus, I saw a handful of students, but most of the people present were workers clearing the grounds of debris. 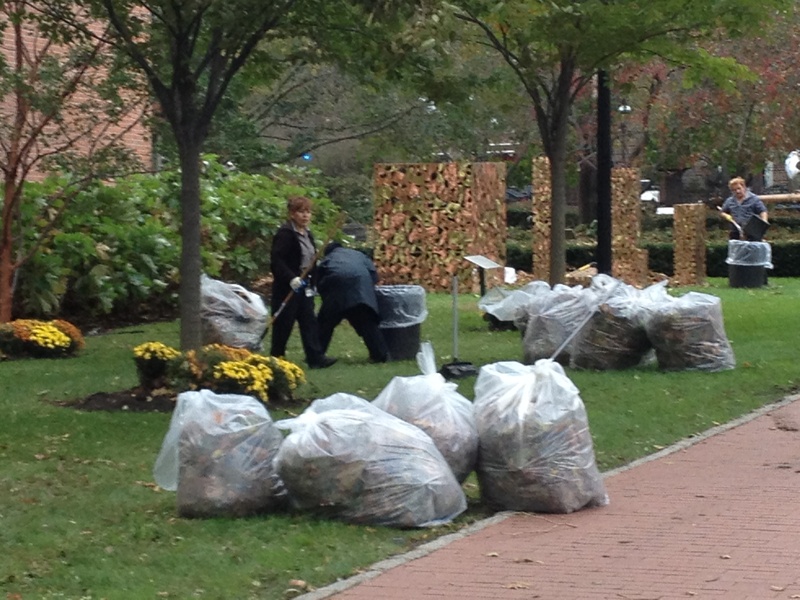 Workers clean up the grounds at the Pratt Institute campus. 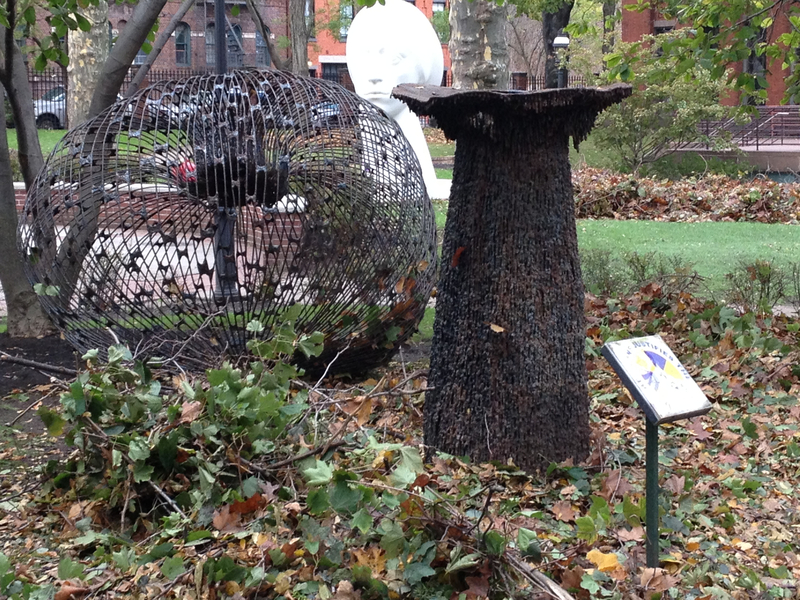 Martha Walker’s installation in front of DeKalb Hall on the Pratt Institute campus. Lewis Mumford, quoted at the top of this essay, argued in 1961’s The City in History that we needed a new image of the city that took into account the organic and personal beyond the intricate systems we have engineered for modern urban life. Mumford graduated from Stuyvesant High School (presently without power) in 1912 and was born in Flushing, near the site where LaGuardia’s runways sit submerged underwater. He would not be surprised at Hurricane Sandy overpowering the systems we rely upon, nor would he be surprised at the local population adapting to the new hardships brought about by the disruption. Tonight is Halloween, and we will see if any of the area kids come to the door to ask for candy. Most of the festivities in New York City are canceled, along with subway service, and a few thousand flights. Millions are still without power, and the city announced last night that more than twenty New Yorkers have died as a result of the hurricane. Just missing a conference puts me in the upper one percentile of fortunate people in the region. My flight was canceled with enough advance notice that I never had to try to make my way to the airport, much less wait with all the stranded passengers. I can get between home and office without difficulty and have power, heat, and water in both places. With all my commitments canceled, I have the luxury to read what my fellow historians have written about what happens when nature disrupts the carefully designed and maintained systems we rely upon to live in — and travel between — cities. Blue skies broke up the clouds this morning, making the absence of airplanes more conspicuous. 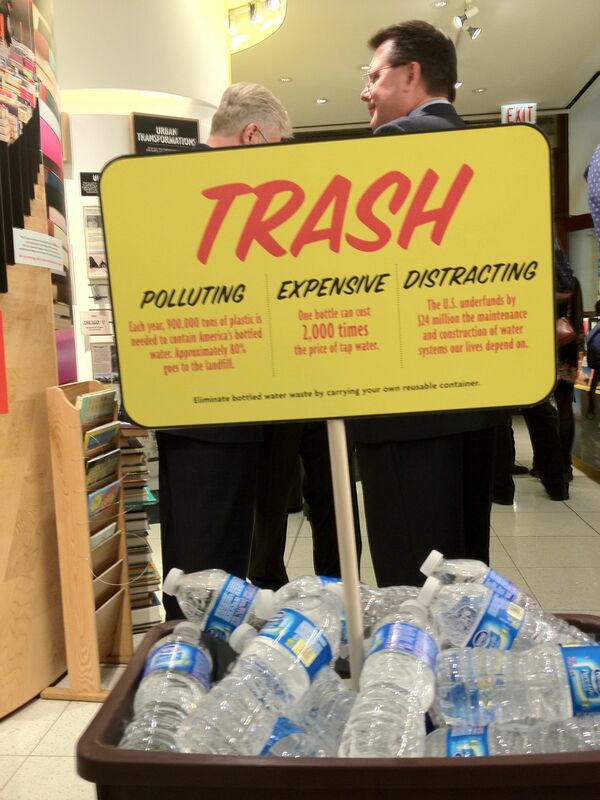 While I am not able to join my colleagues at the Urban Waste and Wastelands panel tomorrow, my experience this week fits with the panel goals to remember that our plans must take the natural environment into account, and not to assume that nature will return the favor. This entry was posted in events on October 31, 2012 by Carl Zimring. Here at the Pratt Institute, I am offering three sustainability seminars for Spring 2013. Each of these courses may count as a Social Science or Philosophy elective, and there are no prerequisites for any of them. This entry was posted in consumption, recycling, teaching, waste on October 29, 2012 by Carl Zimring. 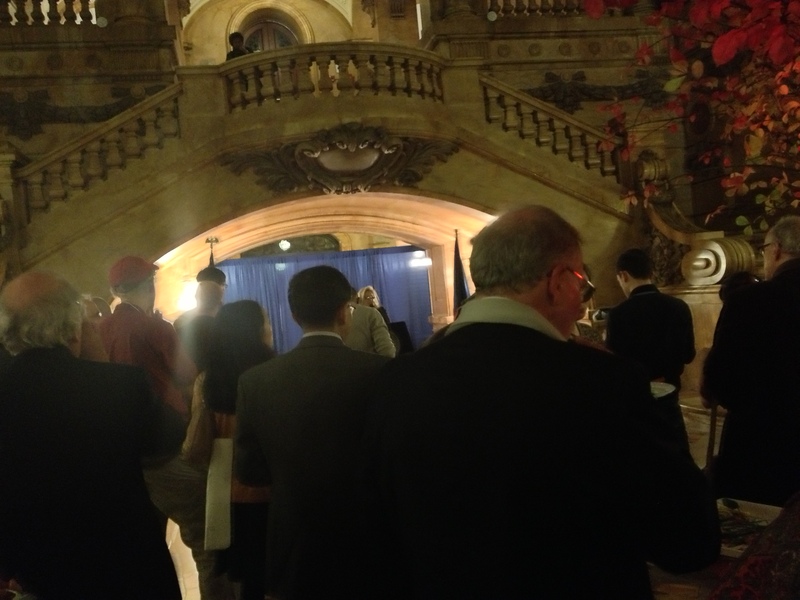 The UHA opening reception was held in New York City’s municipal archives Thursday evening. New York City hosted the largest-ever meeting of the Urban History Association this week, managing to get four days of talks and events in before Hurricane Sandy descended upon the metropolis. The conference kicked off in the Municipal Archives Thursday night, where attendees got to see Dutch colonial records and Calvert Vaux designs for Central Park among the many treasures of the archives. Friday, the conference moved up to Columbia University, where I participated in a panel on the life and legacy of Robert Moses. In some respects, this panel was a continuation of the re-examination of Moses that started in 2007 with a series of exhibitions at Columbia, the Museum of the City of New York, and the Queens Museum of Art and the book Robert Moses and the Modern City: The Transformation of New York published by Hillary Ballon and Kenneth T. Jackson. While our panel conflicted with several concurrent urban environmental panels, the spirited discussion (whose participants included American Planning Association editor Tim Mennel, NYU doctoral student Marcio Siwi, NYC planner Ralph Blessing, and veteran planner/onetime Pratt adjunct Floyd Lapp) used Robert Moses as a lens for planning throughout his life, as well as beyond the borders of New York City to Brazil. Saturday, my erstwhile Roosevelt University College of Professional Studies colleague and National Public Housing Museum board member Brad Hunt participated in a terrific roundtable on museums and public history that grappled with questions of how professional historians interact with the public. The conference featured many panels with new research by graduate students, but one of the more striking panels was an appraisal of the half-century of urban scholarship by Sam Bass Warner, with comments by Carl Abbott, Susan Hirsch, and Howard Chudacoff on how Warner’s mentorship, political activism, and catholic appetite for sources and methodology not only shaped his past work, but set examples for scholarship in the future. 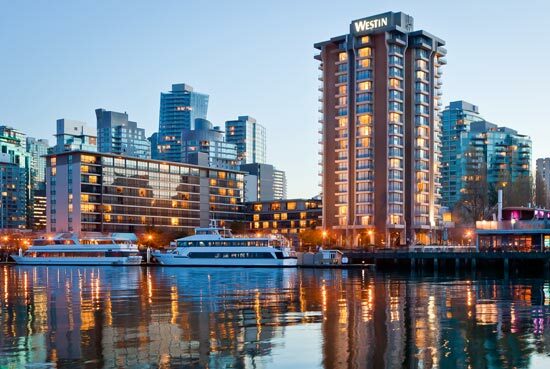 Many of us will — weather permitting — meet again in Vancouver later in the week for the Social Science History Association meeting and take up strands of these discussions. For now, I hope all who needed to get out of New York ahead of the hurricane have done so, and I am grateful for a highly successful conference. This entry was posted in events, history on October 28, 2012 by Carl Zimring. 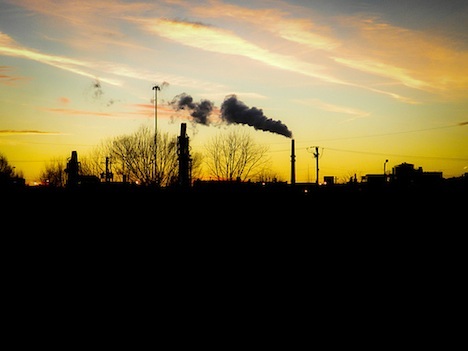 This entry was posted in consumption, recycling, teaching, waste on October 22, 2012 by Carl Zimring. This entry was posted in consumption, recycling, teaching, waste on October 16, 2012 by Carl Zimring. What happens to these bottles when we put them in the trash? Why do we put them in the trash? Questions that will arise in SS 490-27. Registration is limited to 15 students, and I am happy to answer any questions curious students may have about using SS 490-27 for elective credit, readings, course expectations, or any other details. This entry was posted in consumption, recycling, teaching, waste on October 10, 2012 by Carl Zimring.